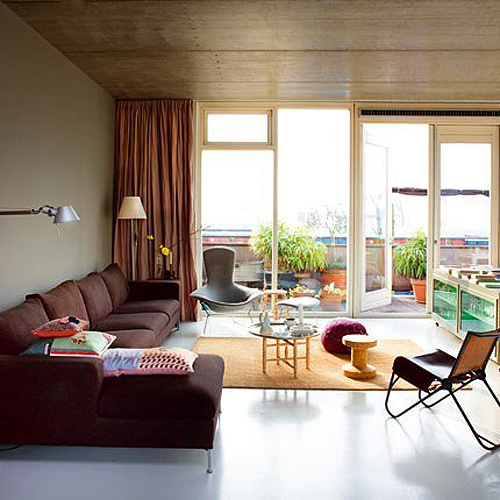 This beautiful modern loft near Rotterdam, The Netherlands, belongs to Artistic Director Marieke Wessels and Laszlo Balog. Laszlo is a furniture maker, I posted about his beautiful designs a while ago. On the image above you can see Marieke working (left) together with her sister who is sitting on the Black Magic chair from Ineke Hans. 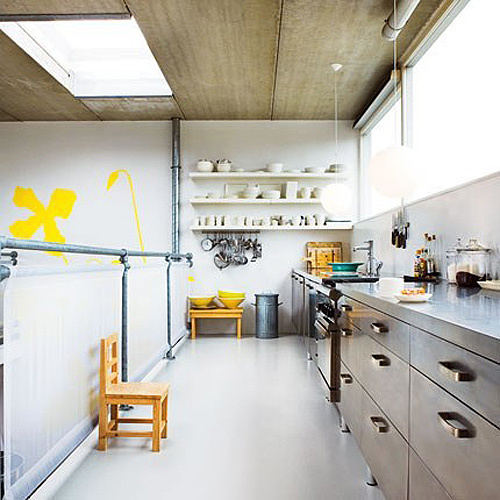 The pendant light above the table is from Tord Boontje. The white vase is designed by Hella Jongerius for IKEA. I love the kitchen and I was amazed to read that most of the kitchen comes from IKEA. 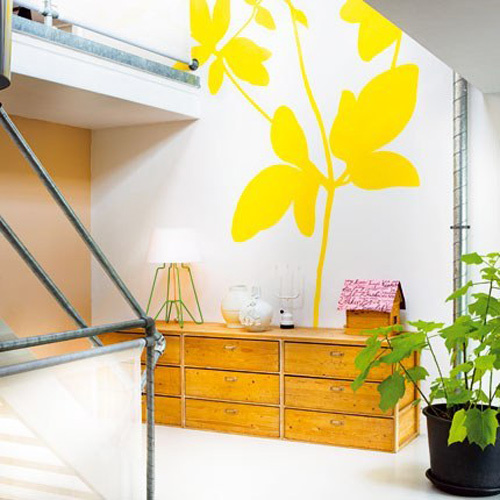 On the wall opposite of the stairs, Marieke painted a beautiful yellow flower. On the chest of drawers there is a lamp from Chris Kabel and a ceramic vast from Hella Jongerius. The cosy living room is decorated with design pieces. 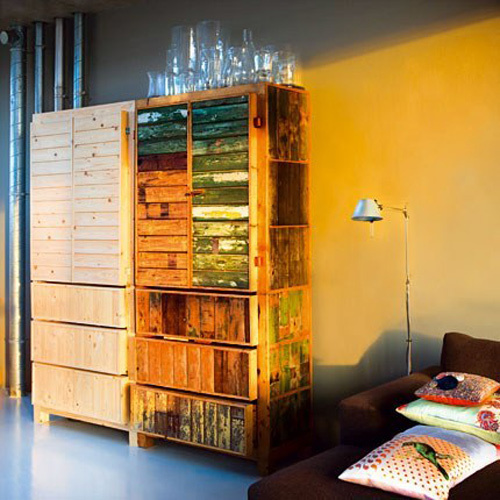 The pillows in the image above and below are designed by Helen van Berkel. LOVE the yellow flower …. and everything else!! can you tell me about the green lamp next to the Chris Kabel lamp? Sara, the green lamp is the Wired Lamp designed by Mark Irlam. You can see it here: http://www.gnr8.biz/europe/product_info.php?products_id=969.